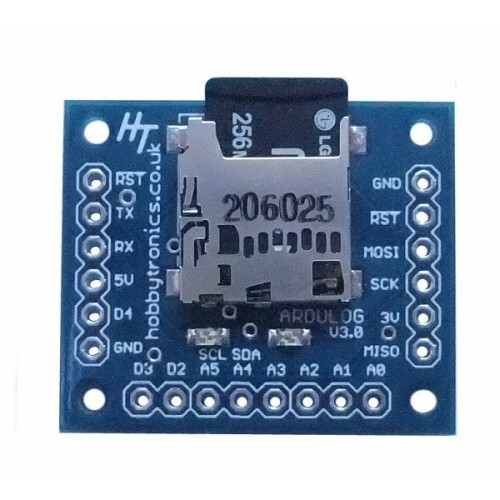 The Ardulog comes with an ATmega328 chip with the Arduino UNO bootloader installed so you can use it as a standalone Arduino board with built-in microSD card adapter. Of course, it is designed for datalogging and we offer it with either the Sparkfun Openlog software pre-installed or our own Ardulog Data Logging Software. This is our own version of Sparkfun's Openlog Data Logger. We wanted a slightly different design so we have made our own, whilst still being 100% software compatible. This is the new Version 3 board which retains the same form factor of the previous board but uses a slightly different micro-SD card holder. This has also allowed us to break out even more pins from the ATmega328 chip. 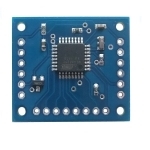 These additional pins allow the connection of analog and digital sensors and other devices to make an ideal standalone data logging board. The serial and power connections match with the Sparkfun FTDI basic board, so you can plug it straight in to program it. 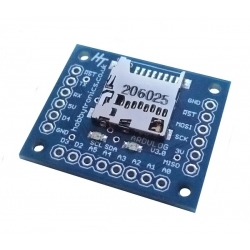 Reprogrammable ATmega328 using the Arduino IDE. 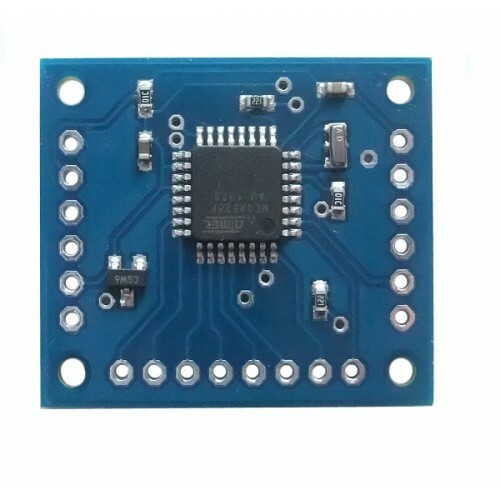 To get the Ardulog up and running using our Ardulog software or the Sparkfun Openlog software, all you need is to connect the GND and +5V pins to a suitable supply and then connect the RX input pin to the device you are logging information from. Connecting the TX pin will display information from the Ardulog but it is not necessary to connect this pin. So, for instance to log data from a gps unit, connect GND and 5V to power, then connect the RX pin to the TX output pin from the GPS. 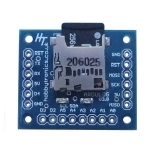 If you wish to log Analog inputs or to connect to I2C and SPI devices, the Ardulog Arduino code is easily modified. Be aware that as the Ardulog board runs at 3.3V, the maximum analog voltage it can measure is 3.3V. Higher inputs will need to be scaled down using a resistor divider. 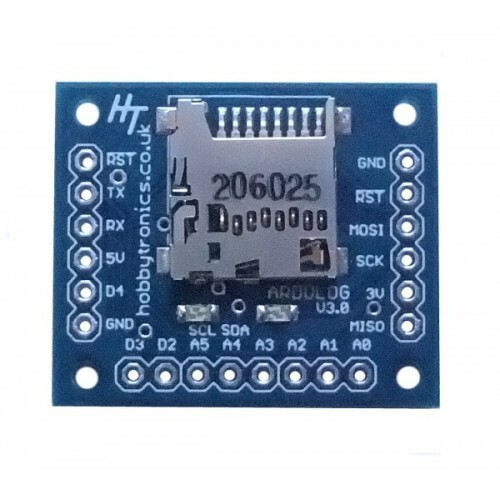 The ArduLog Data Logger comes with the Arduino UNO bootloader installed so you can program it just like any Arduino Uno. We offer it either with a copy of the Sparkfun Openlog software installed or with a copy of our own Data Logging software installed. The Ardulog software is much simpler and has less features than the Openlog software, but it is also half the size and much easier to understand. This leaves plenty of programming space for your own modifications and additions. 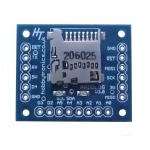 As it stands, our software is ideal for logging GPS data in an RC model, but can be easily modified to measure analog voltages or connect to I2C and SPI devices.